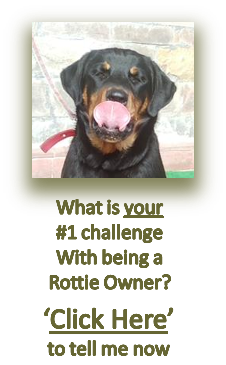 Scroll down to see the gallery picturesIn case you didn't already know, I think you'll see by viewing these funny Rottweiler pics, just how hilarious Rotties can be. 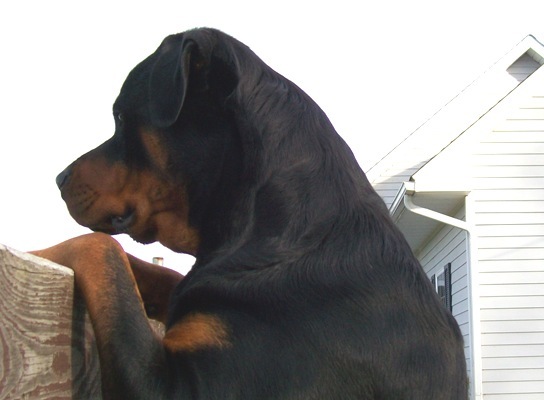 Some are a little more serious than others, but they all have a clown side to them. 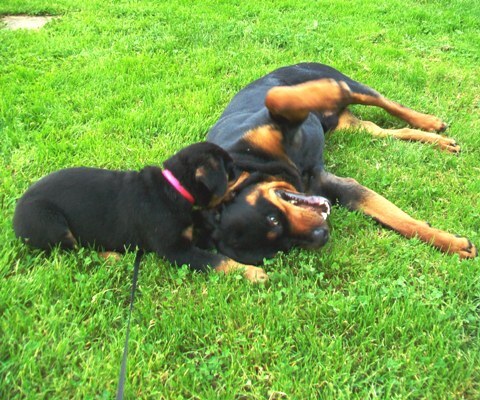 I think these funny pictures of Rottweilers show how awesome this breed really is, and why so many people fall madly in love with them. 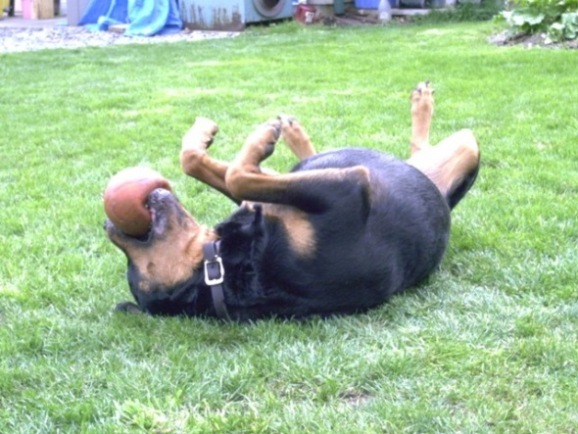 I'm sure you'll also notice that just about every picture of my boy Chevy has a ball either in his mouth, or within reach. 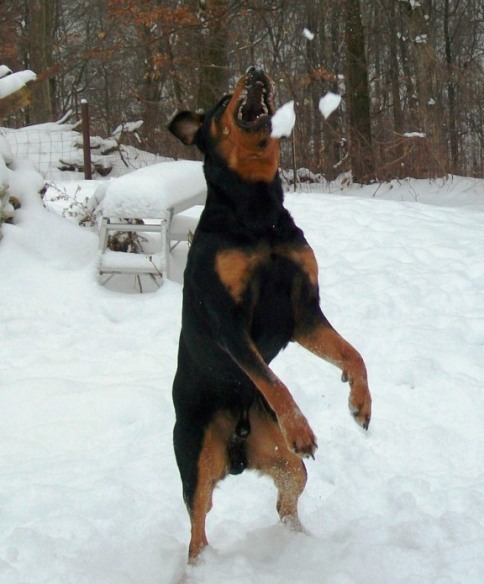 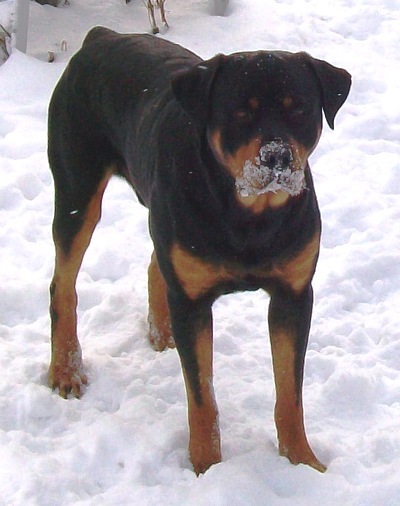 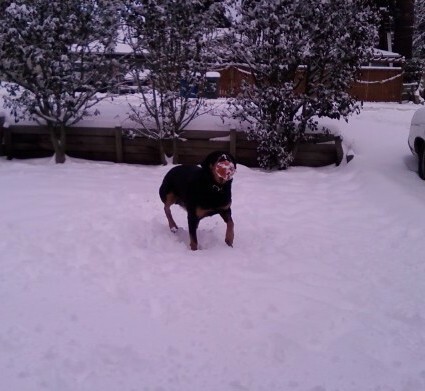 Rotties are very playful and tend to have a lot of energy, as you can see from the various pictures of Moose playing in the snow, etc. 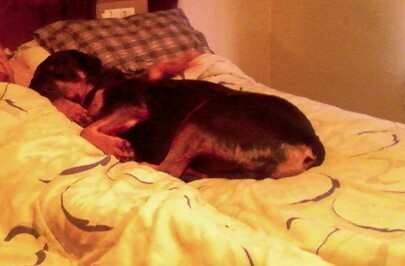 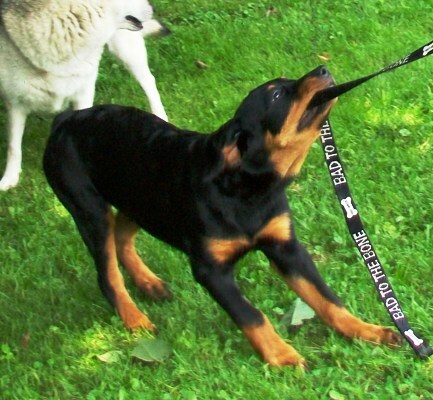 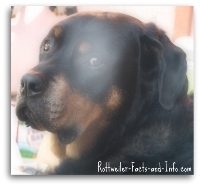 I really hope these pictures make you laugh, and help you see what the real Rottweiler Temperament is like. 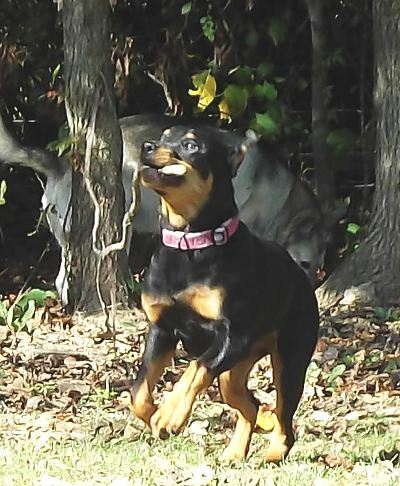 If you have pictures that you'd like to show off live on the web, please be sure to return to my pictures Main Page and submit them to me - I would love to show off your dog too! 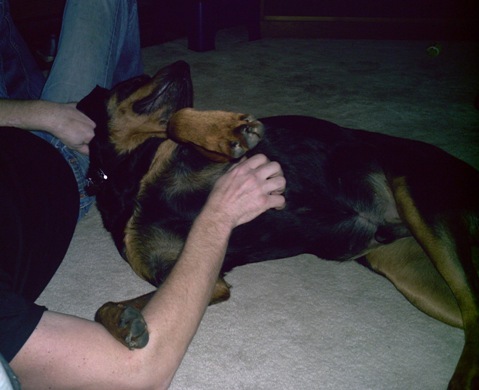 This website is very interactive - I'm sure that you love to show off your best friend just as much as I do. 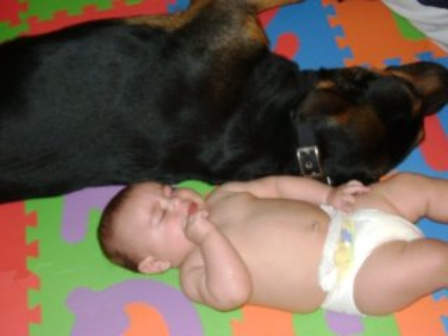 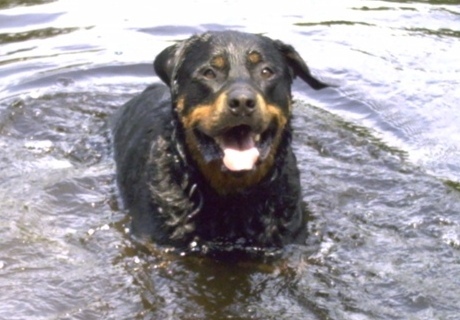 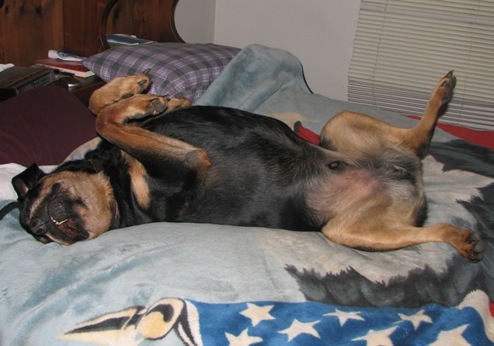 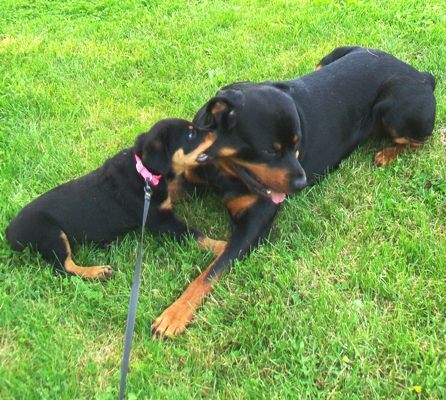 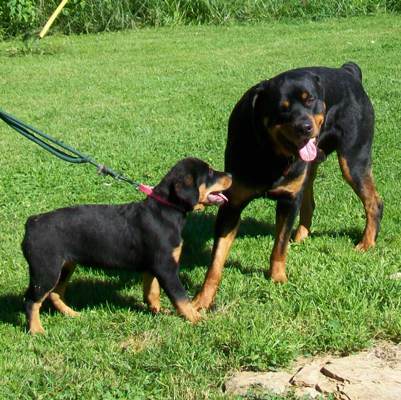 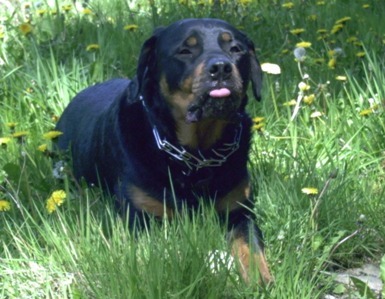 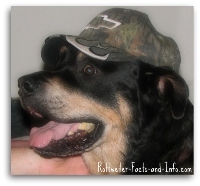 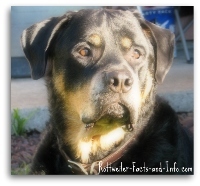 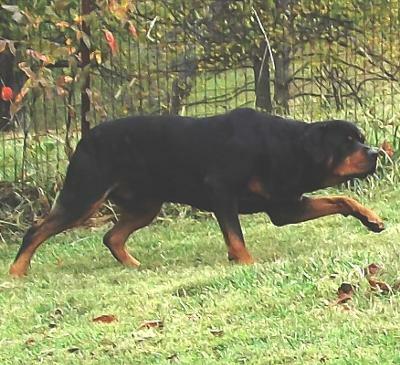 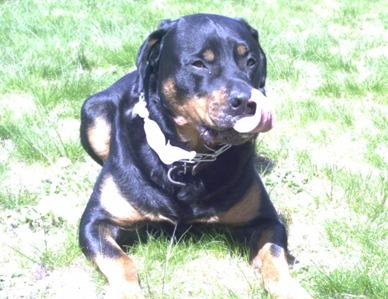 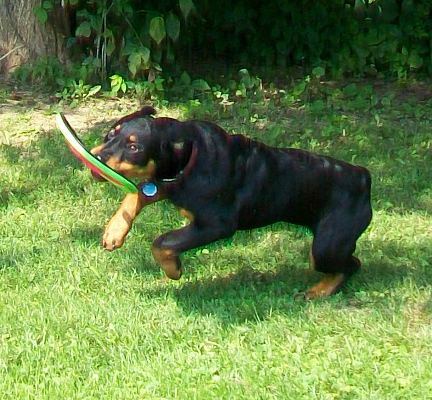 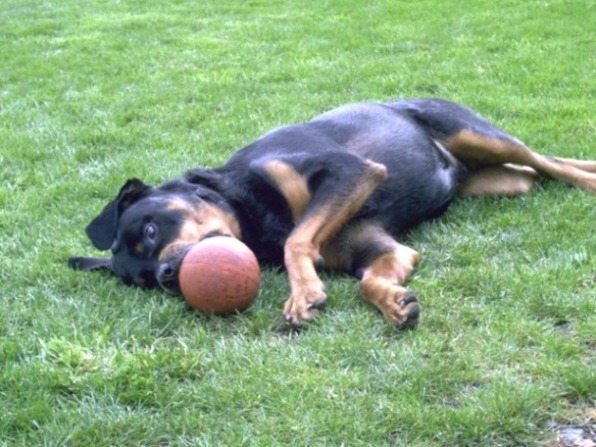 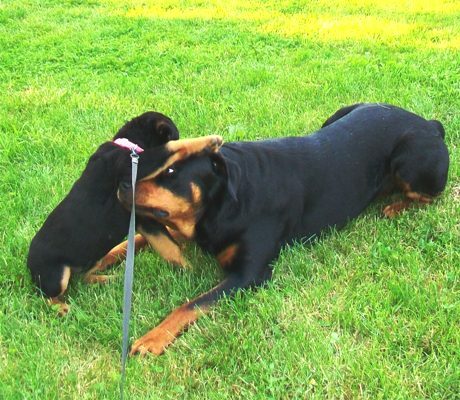 You can upload your favorite Rottweiler photo here. 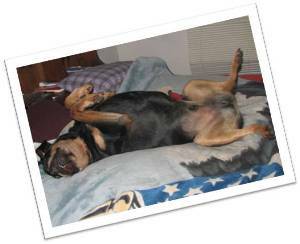 You can also take a look at pictures other visitors have uploaded by going to the Visitors Gallery Page. 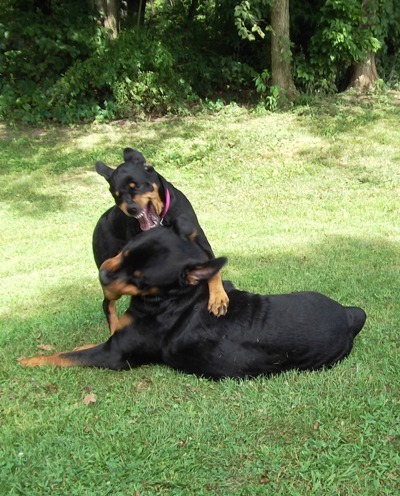 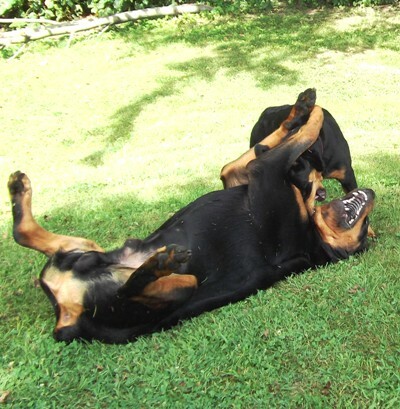 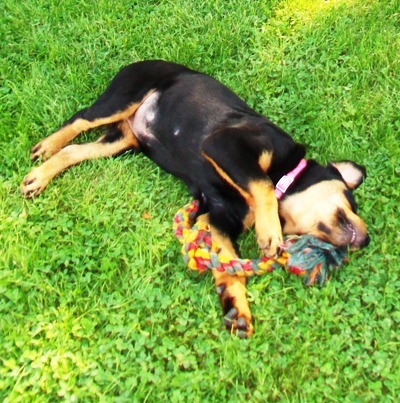 You can really see the fun and engaging personalities that Rotties have.